There are many shipwreck stories in the news at the moment - from the court case between the Spanish government and Florida-based Odyssey about the treasure ship recovered in the Atlantic last year to the wreck of British Royal Navy ship, HMS Ontario, recently discovered in the Great Lakes. Win Scutt has just returned from Akko in northern Israel where he was diving on the excavations of a Napoleonic era ship being excavated by the Leon Racanati Institute of the University of Haifa. How long has English been spoken in Britain? Did the Anglo-Saxons bring English to Britain? Did they drive the "Celts" to the western margins of Britain? Were many of the "Celts" massacred in a wave of ethnic cleansing by continental immigrants? Since the 17th century, it has been believed that England was invaded by immigrants from the Germanic speaking areas of north-western Europe. The earlier inhabitants, believed to be Celts, were thought to have been conquered, subjected, annihilated or displaced to the western fringes of Britain. The ancient languages of Cornwall, Wales and Cumbria are indeed similar to each other. The English language is indeed to be found in much of England and Scotland since medieval times. But now a small group of scientists is challenging this view. Win Scutt has discovered, through studies of archaeology and place-names, that an ancient form of English was being spoken in eastern Britain before the Anglo-Saxons arrived - perhaps thousands of years before. And Peter Forster, using phylogenetic methods to analyse the Germanic languages, has found that English is a much more distant relative of continental Germanic languages than previously thought. Stephen Oppenheimer has followed the genetic ancestry of the Celts and English and he too has found that their pathways are very different from previously believed. 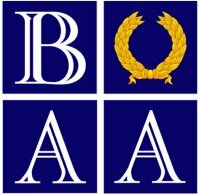 Win Scutt's weekly look at the latest archaeological news from around the world has scooped a prize at the British Archaeological Awards 2006, the most prestigious awards in British Archaeology. The Press Award, sponsored by Wedgwood, recognises the best coverage of archaeology in the printed press or on radio in the last two years (to May 2006). Win Scutt's news feature is part of BBC Radio Five Live's popular 'Up All Night' programme and receives over one million listeners every week. This year the shortlist included the Wall Street Journal and the popular magazine 'British Archaeology'. The joint winner of the Press Award is 'Treasure your Past', a glossy magazine produced by the Eastern Daily Press in association with Tarmac, the Norfolk Museums Service and the British Museum. The Up All Night programme offers 15 minutes of archaeology each Tuesday, with over 50 hours broadcast over the last 5 years. The programme reaches over 1 million visitors who are mad enough to stay up to 3.30am to listen. The judges were impressed by the wide-ranging nature of the archaeology presented. Considering studying Archaeology at a UK University. You can find links to all the degrees on offer at UK Archaeology Degrees. You can study Archaeology GCE 'A' Level from home using online materials and expert tutorial support. There is also advice on Archaeology degree courses in the UK. Find out more by following the Learning link. The Great Language Debate began on BBC 2 Newsnight on Wednesday 3rd January 2007 with Win Scutt and Stephen Oppenheimer. You can see the 10 minute feature again on Google Video. Shopping! Follow this link to a range of deals on books, travel and insurance. If you're curious about archaeology, but a total beginner, this site will show you how to find out. Here you'll find advice on good books, weblinks and courses. Win Scutt is an archaeologist, lecturer and broadcaster based in Devon, UK.